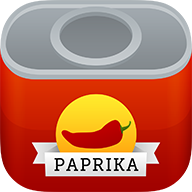 When a recipe is deleted in Paprika 3, it is first moved to the Trash category to give you a chance to restore the recipe if it was accidentally deleted. However, since Paprika 2 does not have a Trash category, those recipes will show up in the main list in Paprika 2. After you empty the Trash in Paprika 3, the two versions will then show the same number of recipes.